Getting involved in an LLC with business partners is a big decision. Many factors need to be considered. Usually, focus is put on the business itself—is it a viable idea? Will it make money? But sometimes we don’t give much thought to who we’re going into business with. If you’re going into business with friends or family you may not give any thought to their affairs. You may be pretty confident they won’t steal or deceive you or the business. But even if they are totally honest and trustworthy, that doesn’t mean that their personal financial issues aren’t something that you should take into serious consideration. In many cases, creditors of a member of an LLC can cause serious problems with the LLC, especially where a judgment is entered. 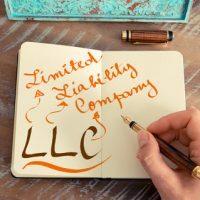 If one of the members of your LLC were to get sued on a personal financial matter, totally unrelated to the LLC that you’re a member of—say, for example, a medical debt, a credit card account, or a business debt from another business—that member now has a creditor capable of collecting on the assets of any judgment they receive. Like a car or a bank account, one of the assets that member has is his interest in your LLC. The creditor may look to capitalize on that member’s interest in your LLC. Florida law doesn’t allow a creditor of a member of an LLC to collect a judgment directly from the assets of the LLC. Thus, members in an LLC don’t have to worry about having, for example, a bank account wiped out. However, creditors can get a charging order from a court. A charging order requires an LLC to pay to a creditor all distributions or payments that may have been made to the member with the judgment directly to the creditor. The order will only require payment to the creditor of what the member would have gotten—it doesn’t require the LLC make any extra or additional payments or distributions to the creditor. In LLCs where members aren’t getting paid much, the creditor won’t realize much. Charging orders also don’t give the creditor the right to participate in the business. That is, the creditor doesn’t become a new member or replace the member with the judgment at all. The creditor is just getting the member’s distributions. They also don’t allow a creditor to foreclose on a member’s LLC interest or allow a creditor to forcibly dissolve an LLC. Of course, practically, a charging order can still create problems—a member may not want to participate in an LLC knowing his payments are going to a creditor. And, the protections of a charging order don’t apply to single member LLCs, where a creditor can foreclose on, and take, all interest in an LLC from the single member debtor. Keep your business’ assets safe. Contact Tampa business attorney David Toback to discuss reviewing business agreements and asset protection documents.